Rates are available from £1,100 to £3,000 per week according to the time of year and size of party. The price includes sole use of the property, linen, towels, gas, electricity and an end of term clean. 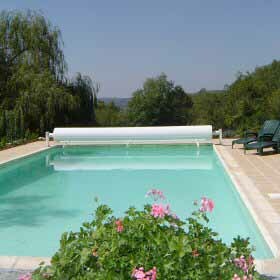 The pool is heated as a matter of course from mid April to mid June and mid September to the end of October.